Imagined Communities, 26 years after its publishing, still does not fail to bring new insights into the idea of nationalism; a concept that is very important in modern times, since every successful revolution since WWII has defined itself in terms of ‘nationalism’. Anderson shows us the contradictions that exist within this idea of nationalism: it is actually a rather ‘new’ idea although it seems to be antique in the eyes of nationalists. Nationalism is a universal concept, yet its manifestations are nation-specific. Lastly, though nationalism is a very powerful concept, the scholarship on it is very poor. These paradoxes indeed make one wonder why the concept of ‘nationalism’ has mainly been approached as something natural or inherent. 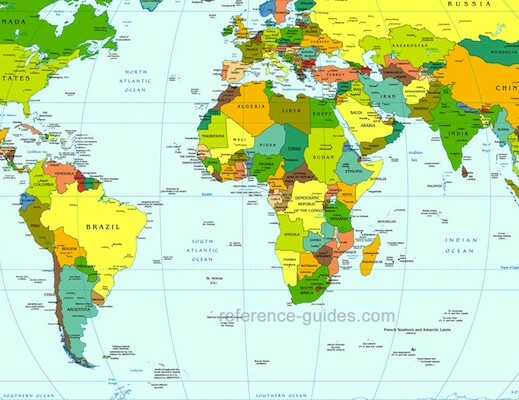 Anderson shows us the opposite: the world is made up of ‘imagined communities’ that we call nations. It is imagined because the members of a nation, whether big or small, will never know or meet most of the members, nor hear from them, yet still in their minds they have the idea that they somehow belong together. Anderson starts by explaining how national consciousnesses emerged in the 16th and 17th centuries, following up two relevant cultural systems: the religious community and dynastic realm. The first community was imagined through sacred silent languages. Knowledge of the language (e.g. Latin, classical Arabic or Chinese) gave admission to ‘membership’. The second community was imagined through dynastic states that made up the majority of the world political system, yet had nothing to do with nationalism yet. These systems eventually were replaced by the concept of nationalism, which was also a product of “print capitalism”. With the introduction of novels and newspapers (‘one-day-bestsellers’) printed language was commodified and so provided a way to represent the nation (or, as Anderson says: the kind of imagined community that is the nation’). With these new media, people now shared an extraordinary mass ceremony: reading the newspaper in the morning. This new accessible language was the ideal platform from which nationalism could be launched. Through shared print language, people could start ‘thinking the nation’, and imagine themselves as part of a bigger community. According to Anderson, language is a key-factor in the formation of the imagined nation: “what the eye is to the lover (..,) –language (…) is to the patriot” (154). Language made it able for people to identify with each other and also formed an official nationalism through the use of one vernacular as the language-of-state. Although Imagined Communities by now has become a classic, it is not entirely timeless. Media like the novel or newspaper have been highlighted in his book, but other media have not yet been explored in terms of nationalism. The greatest missing link of the book has become the Internet. The Internet is a huge ‘space’ without a central government and without specific borders. The Internet changes at least two things about Anderson’s theory. 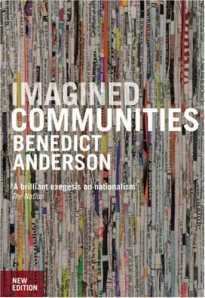 Firstly, when Anderson talks about ‘communities’ in his book he is aiming at nations. However, the Internet has made it possible for many groups to form communities that go beyond the borders of nations. There are millions of people who ‘gather’ on the Internet due to shared beliefs, interests or problems. A ‘community’ is no longer something geographical – it has become virtual as well. For this reason, the idea of what a ‘community’ actually is has to be re-defined. Secondly, Anderson speaks about ‘imagined’ communities because individuals feel connected to people they never even heard of. They thus ‘imagine’ any form of attachment. Through the Internet, however, communities are becoming more visible, and therefore, less imagined. In recent years, location-based services (LBS) have provided people with ways to make the virtual reality. LBS makes use of the geographical position of the person who is on the Internet and in this way maps the environment around it . Very recently this has been linked to social networks (‘communities’) on the Internet. 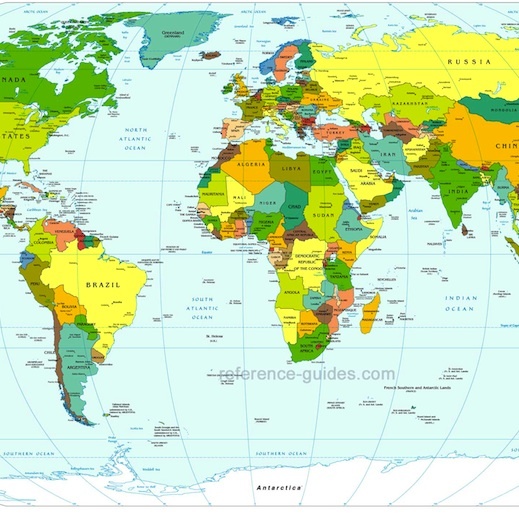 The location from where people are writing from is depicted through maps. It therefore becomes possible to ‘map’ a community. This could create a whole new social infrastructure where people make new relations based on their locations. People within such an infrastructure will therefore do know about each other or have heard from one another, since the Internet connects them. In short: through the Internet it becomes possible to make an ‘imagined community’ less imagined, and more real. It might still take a while though before the Internet catches up with nationalism. In the mean time, Anderson is still brilliant in analyzing nationalism as a global phenomenon. In the café the man has seated himself at my table and talks on about how he, as a half-Hungarian, half-Englishman feels about nationalism and how Anderson has influenced his thoughts. Later on, another lady speaks to me as I read the book on the train. It is clear: Imagined Communities has reached the people and has gone beyond its own borders. In this way, Imagined Communities proves its case by creating imagined communities of its own. It is indeed not Andersons’ book anymore. The book now belongs to everyone.